with bonded layers of paper. 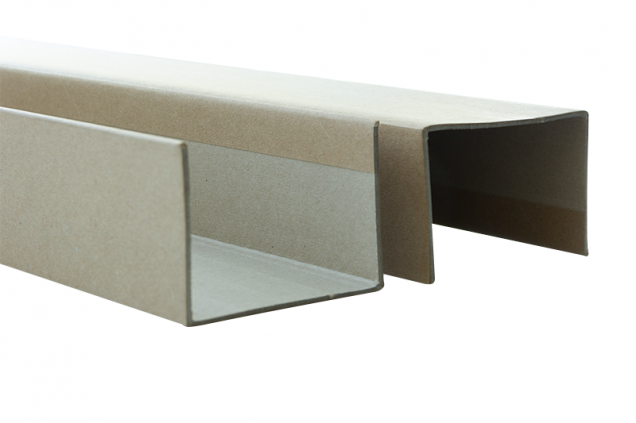 Angleboard® Eco profiles are recyclable. 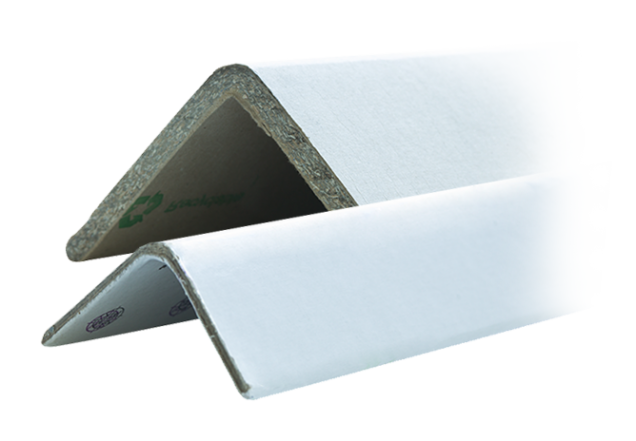 Angleboard® Eco profiles can be supplied with self adhesive tape. Angleboard® Eco profiles can be provided with prints, up to 4 colors. Angleboard® Eco profiles can be provided with a perforation (every 100 mm). Corners can be snapped off at any length.